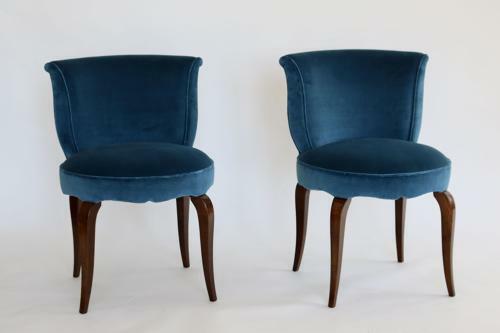 Pair of French Art Deco chairs. Versatile and can be used in both a bedroom or sitting room. Reupholstered in a blue velvet. Could be sold individually. Please ask.